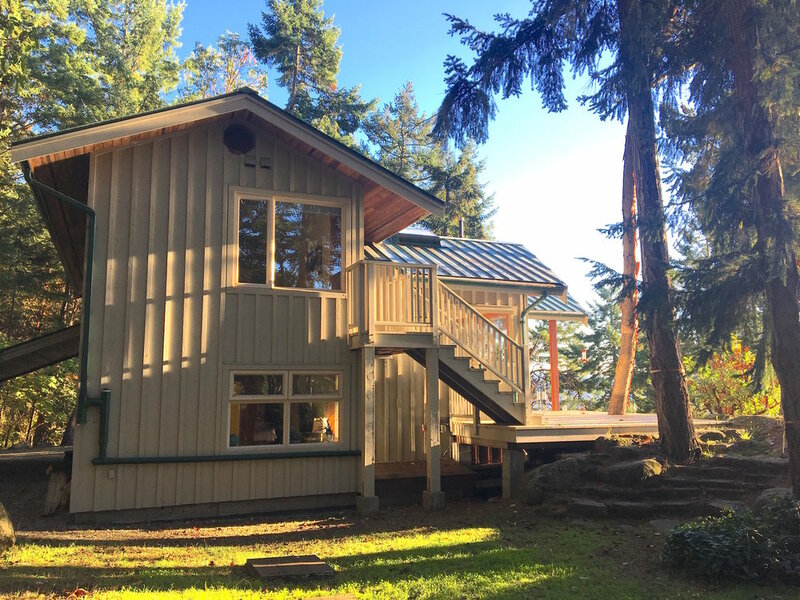 This 1540+ square foot quality home was built in 2005 by Galiano best builder, Dave Koster. The main level is open plan with a custom kitchen including Brazilian granite counter tops, beautiful alder cabinets and high end Fish Paykal appliances. 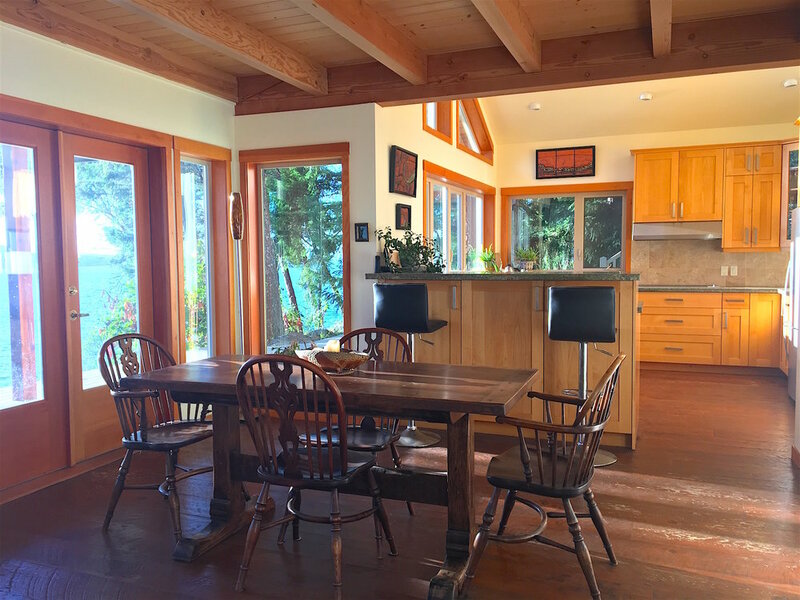 Overlooking the dining room and sunken living room, each room on the main floor has expansive ocean views and rough-cut, old growth, Douglas fir floors. 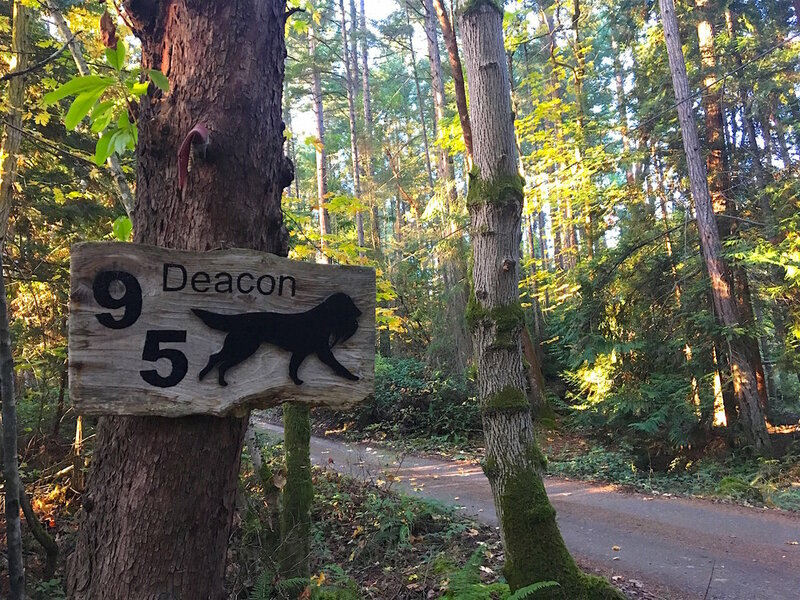 On the upper level is the master bedroom with 3 piece ensuite and ocean view, as well as guest room and guest bathroom with tranquil forest views. On the lower level is a flex room, garage/shop and laundry room. Expansive decks over look the ocean side of the house and are beautifully framed with extensive rockery on which a hot tub is perched to enjoy the very best vistas of the property. 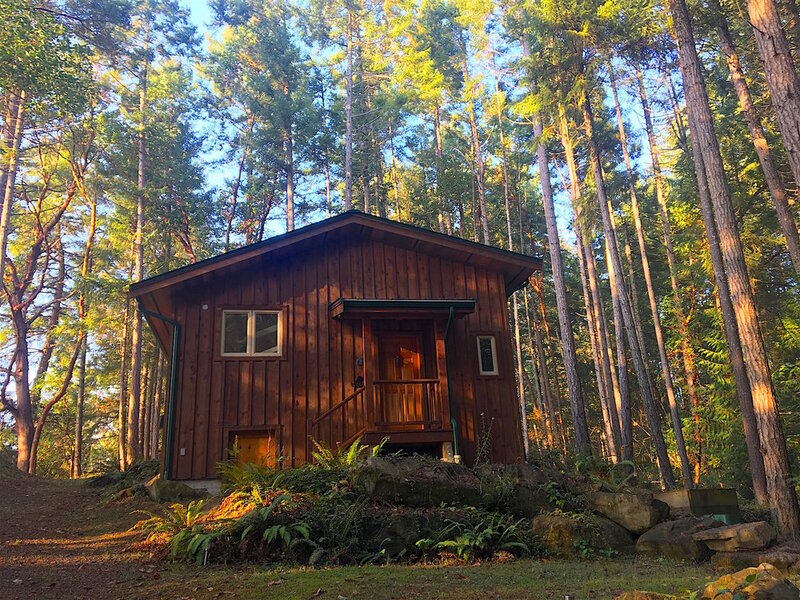 Built in 2010, this one bedroom, one bath cabin is situated back from the main house to offer plenty of privacy for both house and cottage. The open plan kitchen, dining room and living room also has a loft for additional sleeping quarters and a large south west facing deck for entertaining. 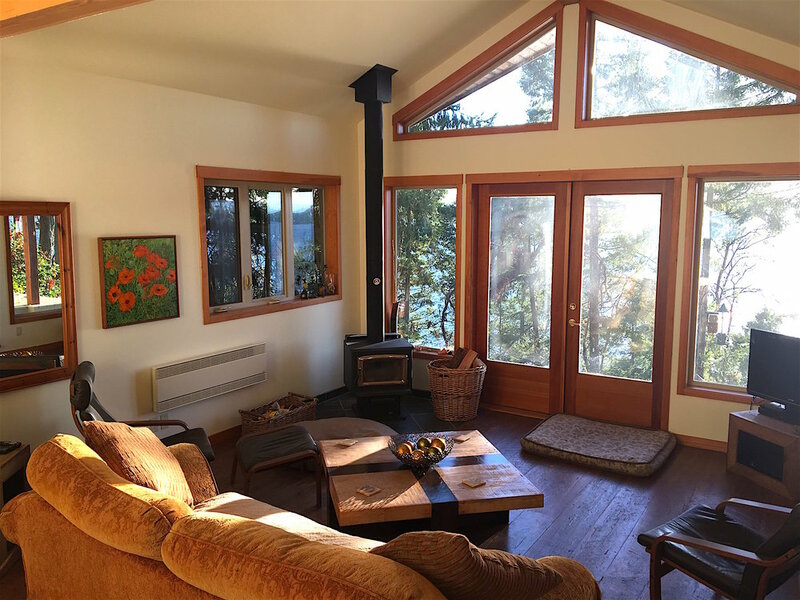 Down near the waters edge is an old timer cottage with composting toilet and cedar deck. Perfect for additional family accommodation or as an artists studio or meditation room. WATER: The pump house is the heart of an incredible rain water collection system which includes 15,300 gallons of storage, 2 jet-pumps and a 2-step filter with UV light. There is also a 1 GPM well for irrigation, car washing, power washing or as a back up for your main water system. The well is 110 feet deep with the pump sitting at 100 feet. POWER: 200 AMP service, 7.5 kilowatt generator panel, wood stove and electric heat for both house and cottage. 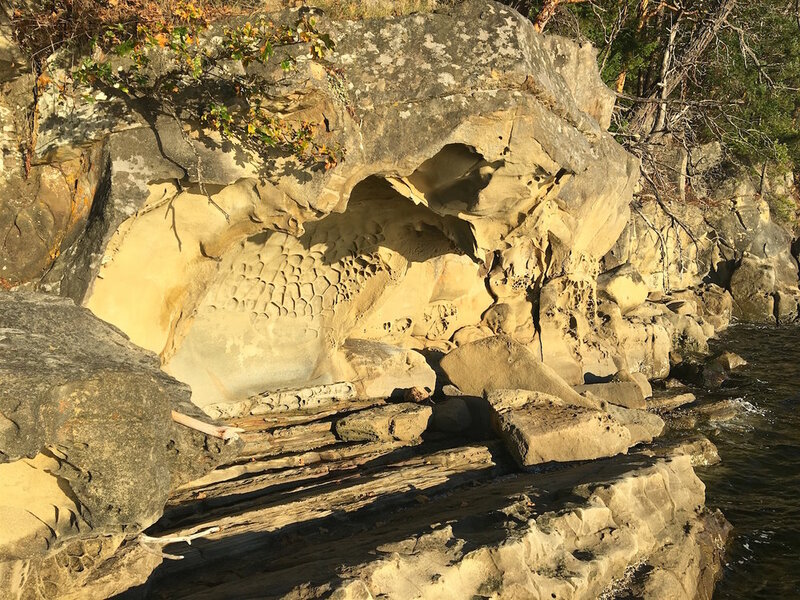 This stunning high bank , water front, property has spectacular stone steps from your front deck down to the waters edge. 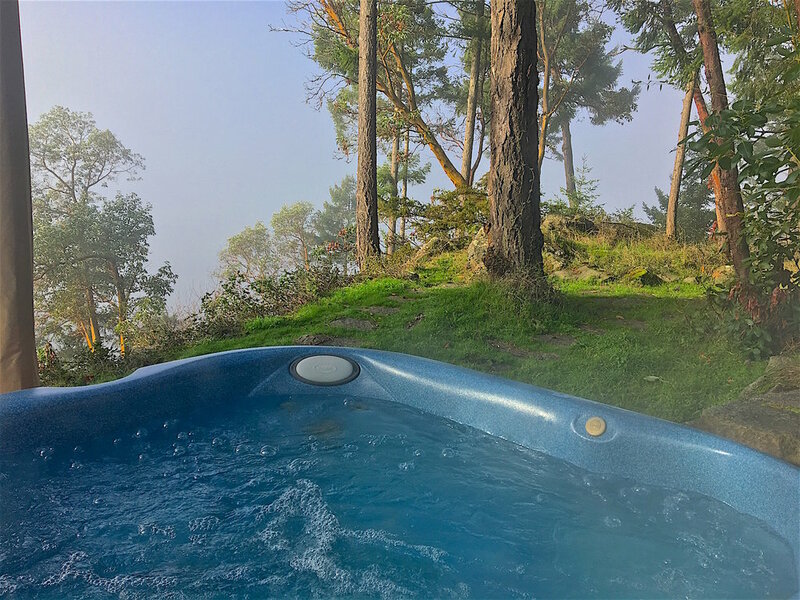 Stop along the way at the hot tub or stone bench, each perfectly placed to enjoy the best views of the ocean and beyond. From your private beach access, launch your paddle board, jump in for a swim, watch the whales go by or enjoy the last glimpse of the sun as it dips down below the horizon. Take a deep breath, enjoy the smell of the sea air and relax into island living. A high-end,quality home with stunning ocean views! 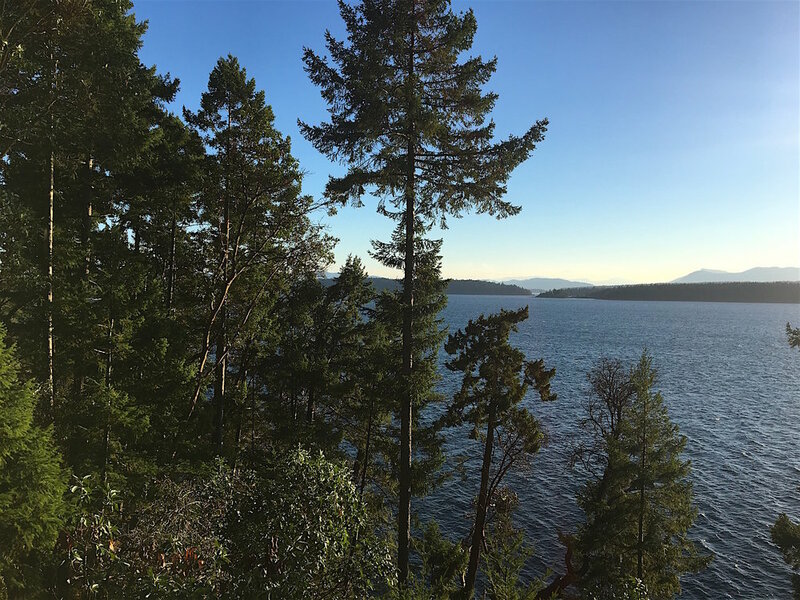 Immaculate waterfront home and guest cottage nestled on a private laneway at the North end of Galiano. If you you’re a sunset seeker this is the property for you! Enjoy stunning views over Reid, Penelauket, and Valdez island with the snow caped mountains of Vancouver Island and beyond. Year round sunsets showcase the passing sea life: killer whales, sea lions, otters and seals. Wake up to the mist over the ocean, the chatter of the cormmerants and gentle lap of the ocean caressing the stone staircase of your private beach access.